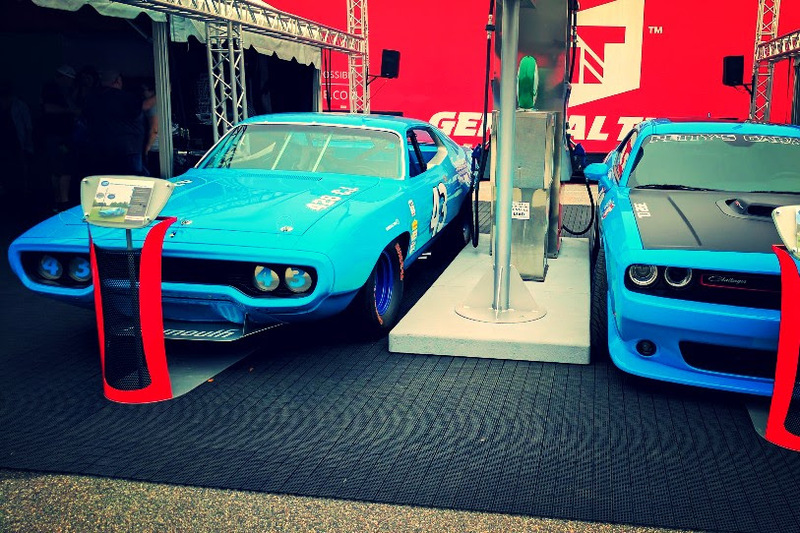 In February I had a full-throttle adventure, researching two of America’s premier events in a single trip to Florida. Join me in this Double Feature issue for gorgeous weather, upscale fun and an inside look at some big, powerful machines. 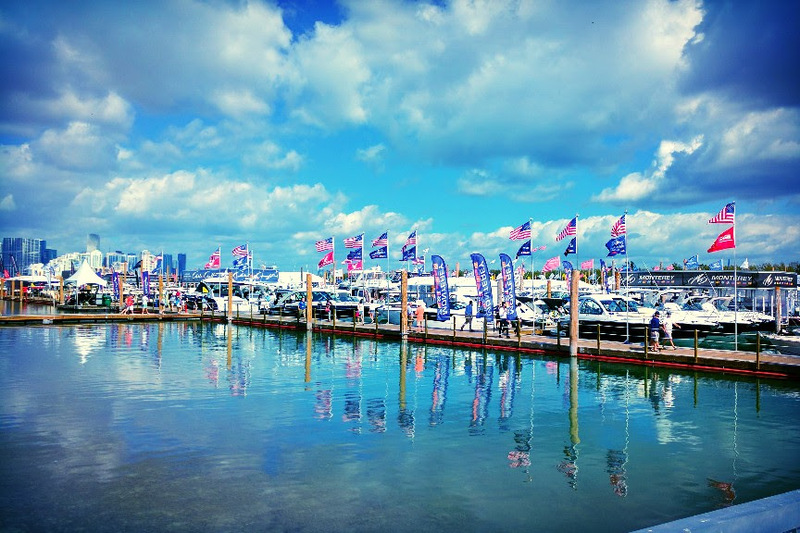 The Progressive Miami International Boat Show is the most exclusive event of its kind. Stunning sailboats and seven-figure yachts bob in the harbor at Marine Stadium, waiting for you to climb aboard. 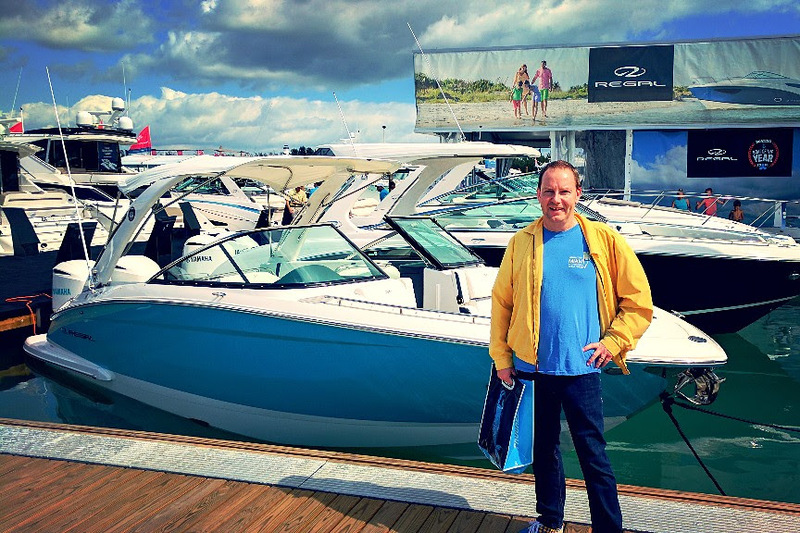 This year, guests were most excited about the quadruple-outboard luxury fishing boats. 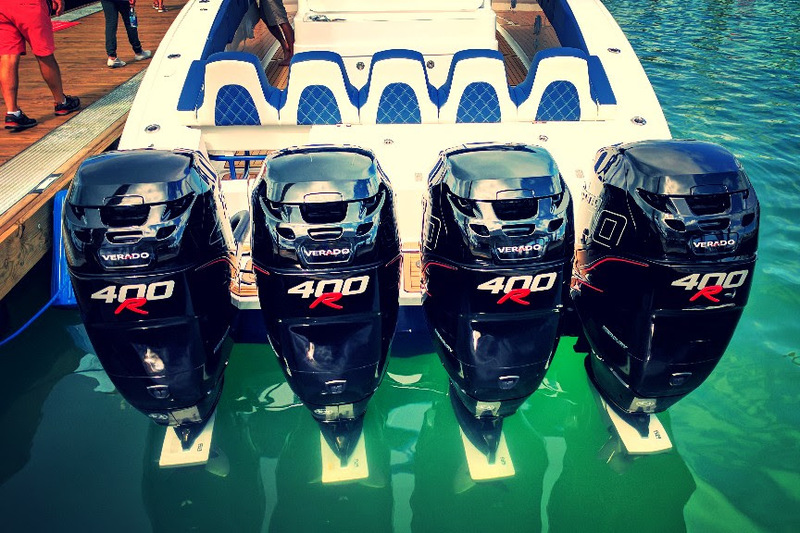 After all, why cruise the open water with a single motor when you can have four? 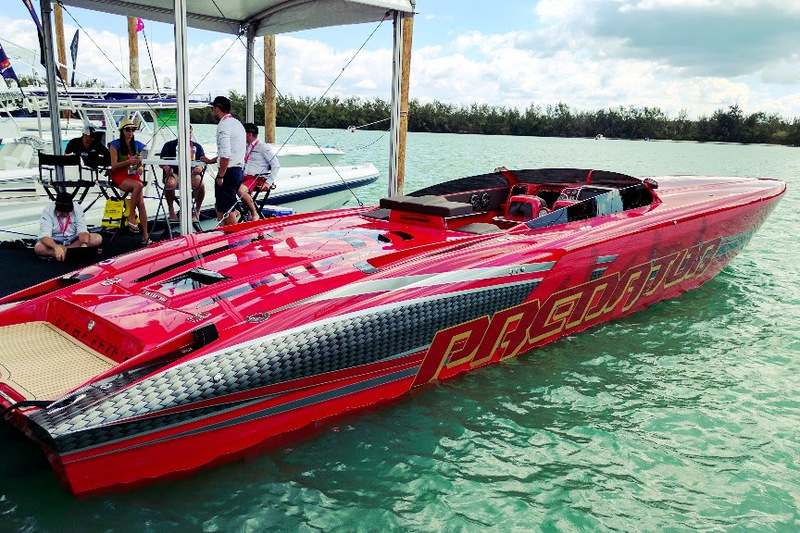 Event Professor Tip: It’s customary to remove your shoes before stepping inside a boat. 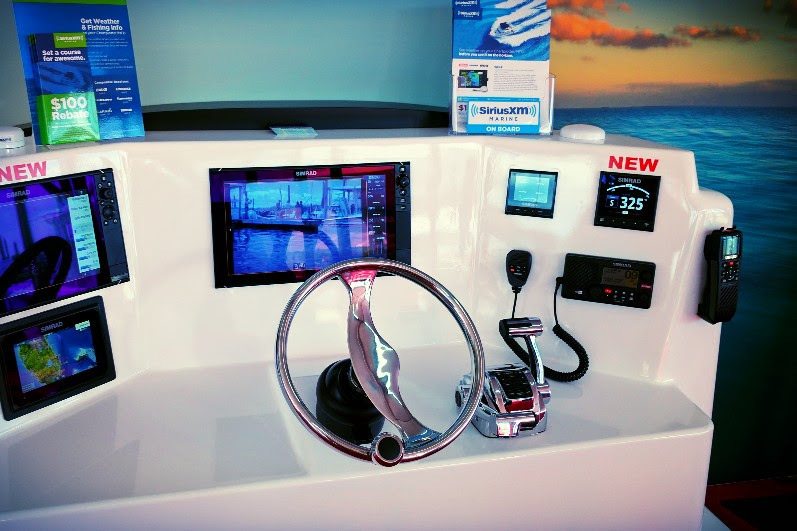 Bring slip-ons so you can easily gain access to the most upscale vessels. 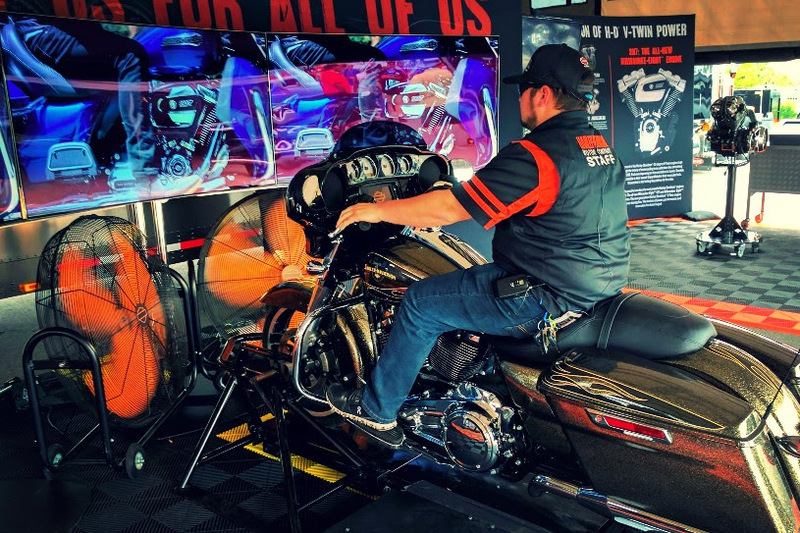 Enigma’s independent event survey evaluated two-dozen major exhibits and learned that free stuff can go a long way. 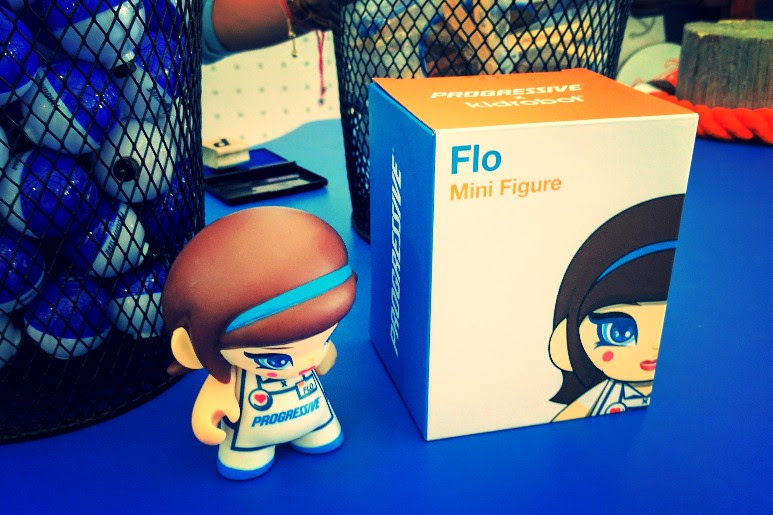 Attendees expressed appreciation for the complimentary popsicles and Flo mini-figures from title sponsor Progressive. You can’t go wrong with frozen treats on a hot day. 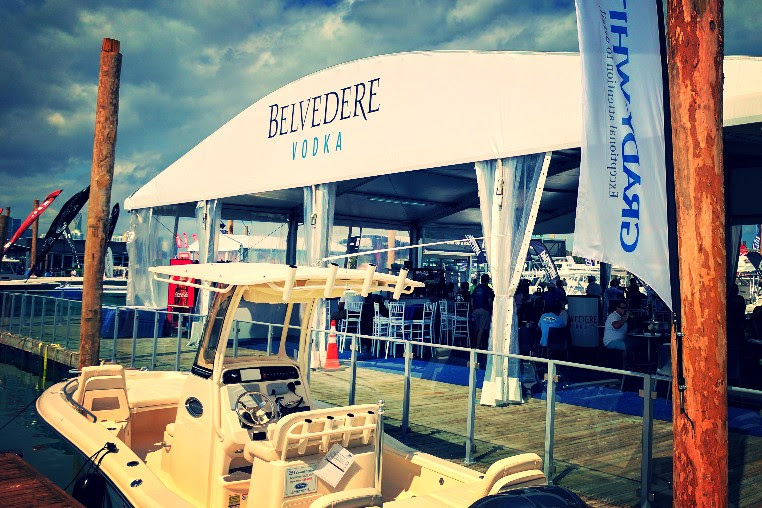 GEICO and GMC also doled out premium swag while Heineken, Blue Moon and Belvedere Vodka provided gorgeous nautical-themed bars. 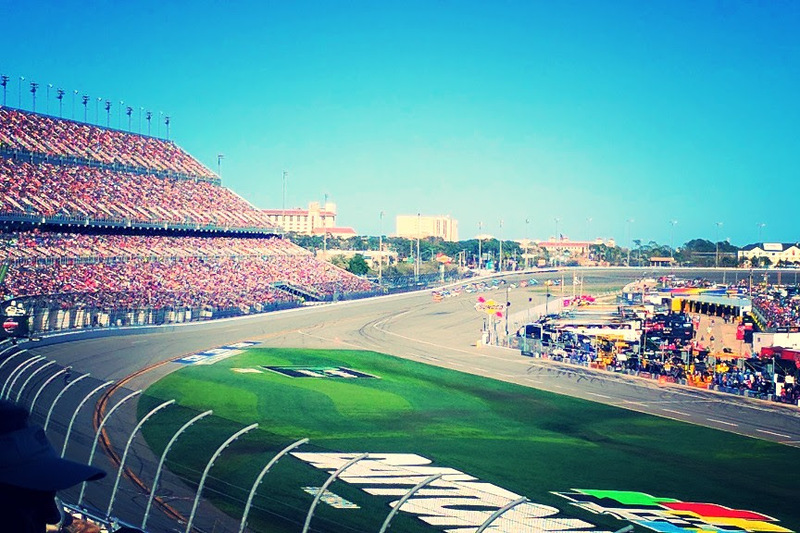 After a great time on the water, I got back on the road and took the I-95 North to catch NASCAR’s most famous event at the Daytona International Speedway. 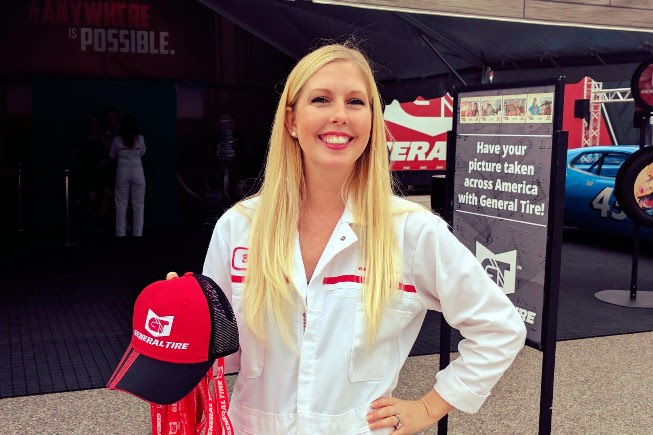 NASCAR events tend to get labelled as “redneck,” but our independent survey of hundreds of fans actually reported the opposite. 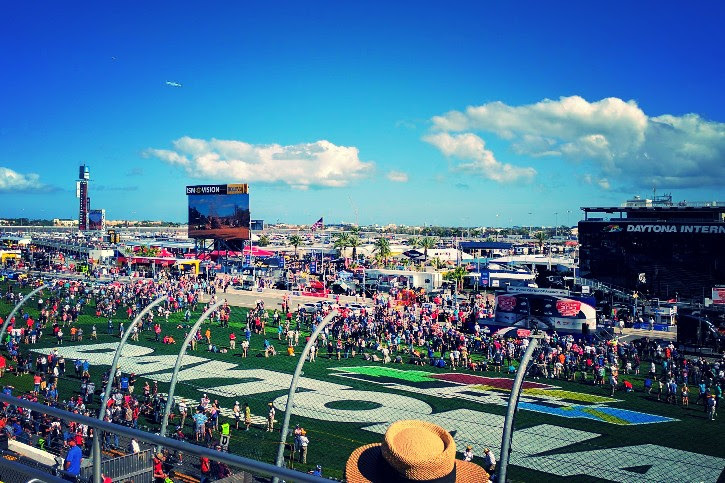 Wealthy professionals, entrepreneurs and retirees make up a significant portion of Daytona 500 patrons. The brand new grandstand is jaw-dropping in scale, seating over 100,000 comfortably. As you might imagine, fans can find their favorite food, drink and souvenirs on site. 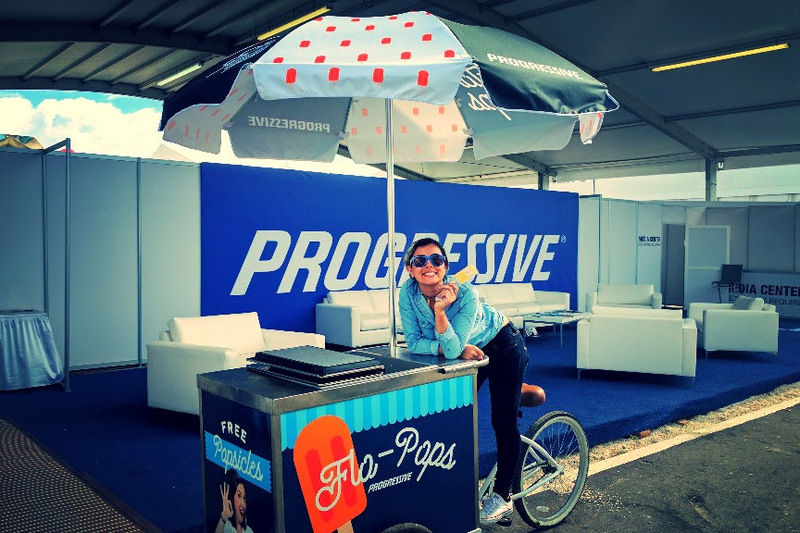 The event featured 21 activations from brands like GM and Ford, many being the most sophisticated Enigma has ever evaluated. Toyota actually had a ferris wheel in its display! Other activations featured cool machines of all sorts. 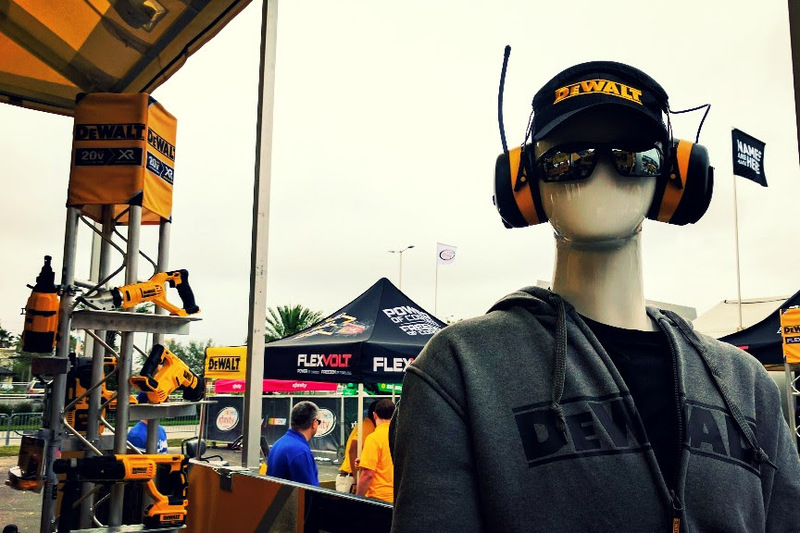 DeWalt offered a tent where fans could test power tools, Harley-Davidson had a live motorcycle trial on a dyno, and Monster presented an impressive stunt show. The Busch beer exhibit was awesome. 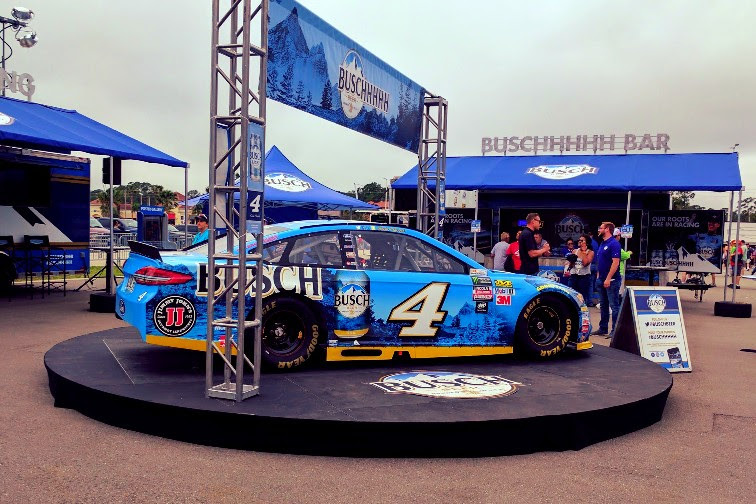 As sponsor of driver #4 Kevin Harvick, the brand featured Kevin’s car and a unique shooting game. 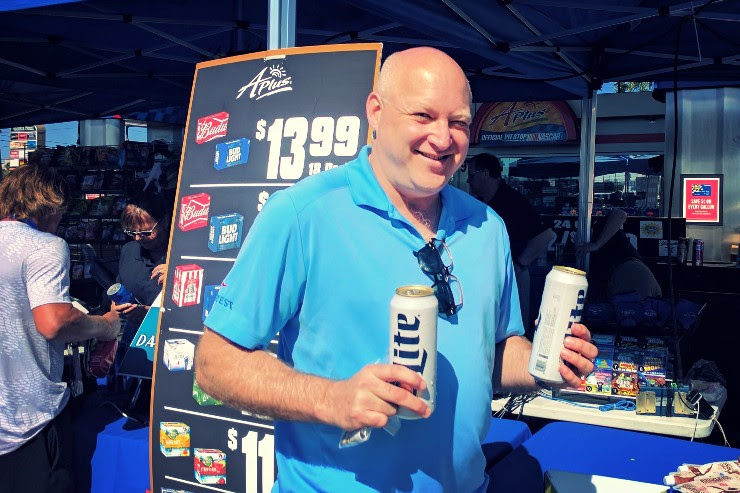 Guests were also treated to a break from stadium beverage prices: cans of Busch only cost (you guessed it) $4! Nice. 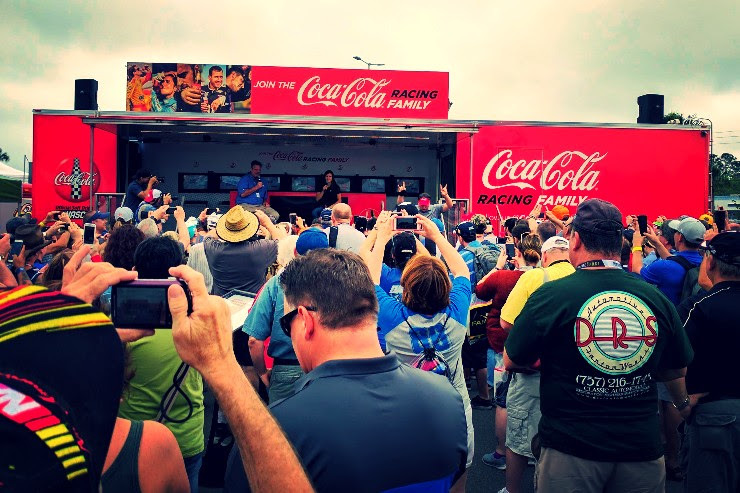 Coca-Cola’s mobile exhibit hosted Danica Patrick for a live interview. Naturally, this was captured by countless fans and their smart phones, Event Professor included. 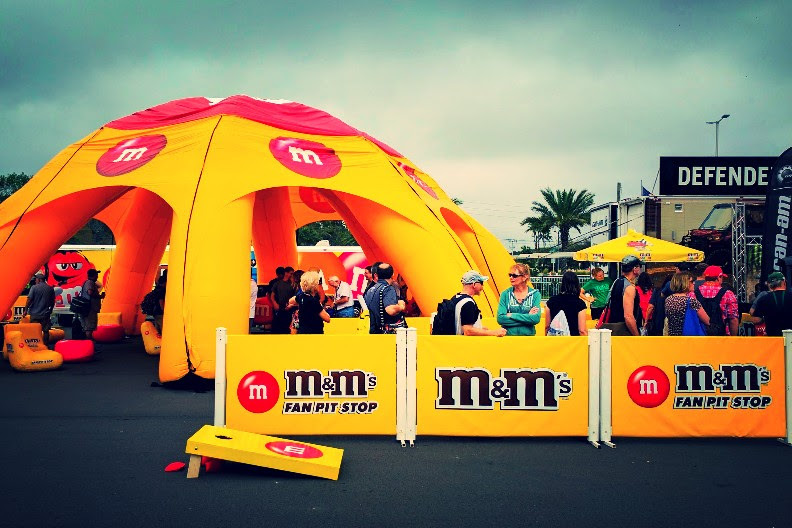 From the US Marines jet fighter display to the playful M&Ms exhibit, it actually took longer to experience all the brand activations than to watch the race! 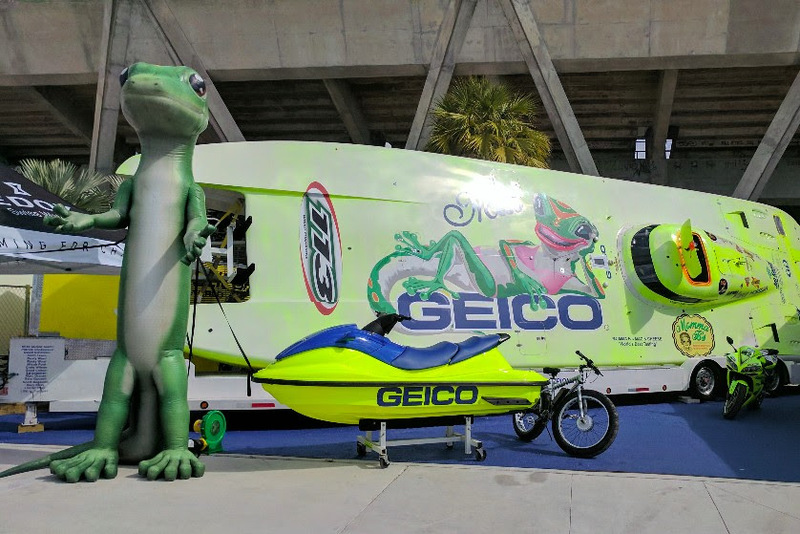 Major events always sell themed merchandise, but Daytona takes it up a notch. Every single driver has their own souvenir tent. Now that my journey is ended, I can’t help but look forward to the next time I get to experience the ocean, the open road and the race track in one trip. Thanks for joining me on my latest research adventure. 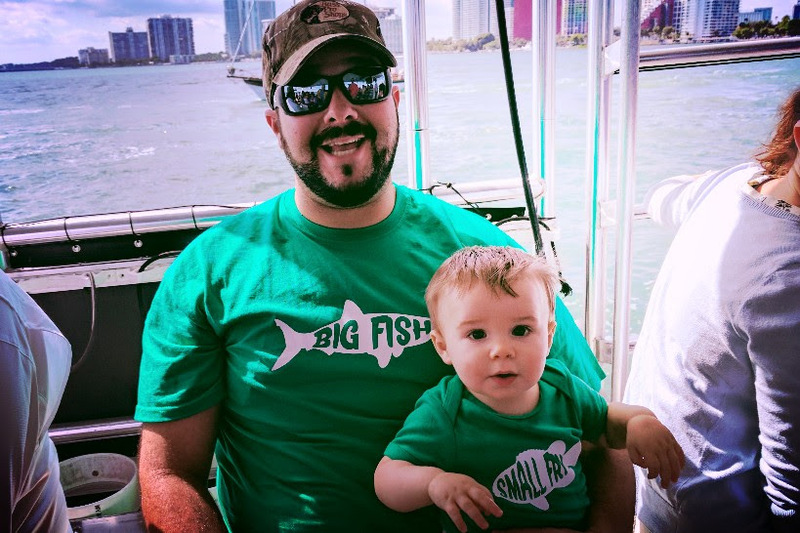 From port to highway, there’s always another cool event on the horizon. Click here for more Event Professor Stories.